The week that lies ahead will see some fascinating Test cricket action. It is quite a unique time as all Test playing nations except Bangladesh are involved in a test series. England is touring South Africa, West Indies are touring Austrialia, Pakistan are playing in New Zealand and closer home Sri Lanka will play the final Test of the three match series tomorrow against India. India takes of Sri Lanka tomorrow at the Brabourne Stadium. It is a stadium that has been known to be the bastion of culture and legacy when it comes to cricket in India. The association which runs the stadium (CCI) had a falling out with the Mumbai Cricket Association back in the early 70s. This led MCA to construct a new stadium called the Wankhede. The two associations have gotten closer now a days and with the Wankhede stadium undergoing a major re-building exercise Brabourne gets its chance to host one more Test match after 36 long years. Last time Test cricket was played at the Brabourne, Sachin Tendulkar was not even born! India will be keen to win this Test match as it will haul it upwards to being the No 1 ranked Test team in the ICC rankings. This will be quite an achievement for the Indian team who are not particularly hailed for their ability in Test cricket. Not sure if New Zealand will have their confidence high after last weeks win over Pakistan. The Pakistan team came very close to an unlikely win over the Kiwis. But I still feel Pakistan have some inherent technically challenged opening batsmen along with some sparkling yet not reliable batting lineup. They have a great bowling line up too but I still feel it would not be able to match up to New Zealand’s usual dose of resoluteness and professionalism. The Test match between New Zealand and Pakistan begins on 3rd December 2009. If you are in India you should be able to catch the action on Ten Sports in early morning around 430 am. 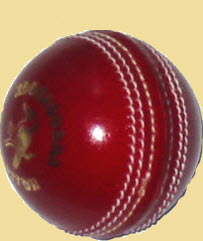 In the first Test Match Australia declared their innings at 480/8 and bowled out West Indies twice in less than 2 days. The match was over on the 3rd day itself and was one sided more of less from the first day’s first session. This sort of a defeat does not speak very highly of West Indies’ chances in the second Test at Adelaide. This match starts on Friday morning at 5.30 in the morning. Indian viewers should be able to catch the game on Star Cricket.